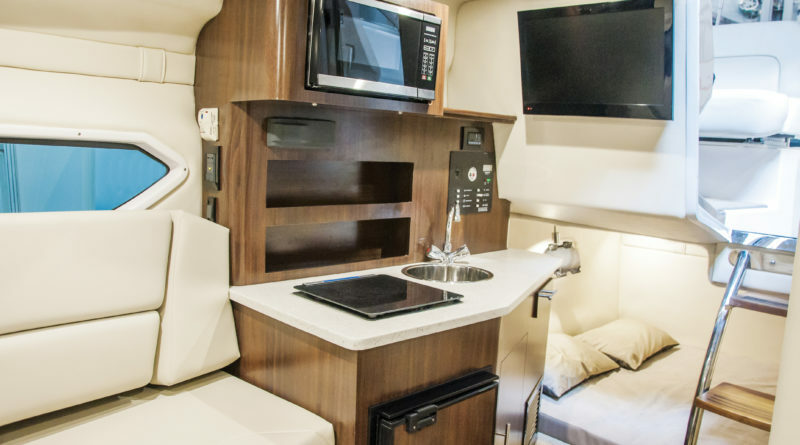 SAN DIEGO — Was this the year you or your nearest and dearest decided to gift your boat with new marine electronics, computers, flat panel displays or an entertainment system? Or even new galley appliances? Or perhaps you’re planning to shop the post-holiday sales to upgrade your equipment or install new systems? Before you install anything, make sure your boat has adequate electrical capacity to support the amperage required to power your new acquisitions. The owners’ manual should specify the power requirements, or check the manufacturer’s website. If you’re planning to do the installation yourself, make sure there are adequate breakers available in your electrical distribution panel necessary to hook up your new electronics. Whatever you do – my electrical engineer husband warns – don’t hook up the wiring without some fusing, or worse yet, directly to the battery. That practice runs the risk of overloading the wiring and causing a fire. If you’re not sure how to do the installation safely yourself, have your new components installed professionally, or call a marine electrician to assess and, if necessary, upgrade your electrical capacity. It’s better to spend the extra money and do the installation correctly, since most boat fires are electrical in origin, rather than endangering the entire dock or marina. If you want to save electricity, consider changing out your old incandescent lighting for LED lighting fixtures or bulbs. With recent lighting advances, you can find new LED-equipped fixtures in shapes and sizes equivalent to most old-style interior and exterior fixtures. Arv has recently replaced most of our lighting; we’ve seen a significant drop in our energy usage, both on the boat and at home. The post-holiday season is a great time to get a head start on preparation for the boating season. Since most boating service providers are slower at this time of year, you’re likely to get faster service, and perhaps better prices, on custom canvas, bimini frames, decking, woodwork and anything requiring custom fabrication. Consider also having your outboard motor serviced for a quicker turnaround. Have you checked your boat for leaks of any sort, whether cracked or broken water hoses inside your boat or leaky caulking or frames around portholes, windows or hatches? Now, before the worst of the winter rainstorms arrive (assuming we get more rain this year), is an opportune time to trace down and seal those leaks before they do major damage to your boat. Be sure to clean out your food lockers, tossing out old and outdated food and cleaning up any residual spills. Cull out your old cleaning products, too, since many can corrode or eat through cans and bottles, leaving a mess. The fast-approaching SoCal winter boat shows – with the Los Angeles Boat Show at the Fairplex – Pomona, Jan. 10-13, 2019, and the San Diego Sunroad Boat Show Jan. 24-27 – are an easy way to find great promotions on boating services and supplies, including discounted marine haul-out and other maintenance packages. Boatyards often offer a free haul-out with a bottom-paint job, something we’ve always sought. The shows also provide an opportunity to connect with new businesses and familiarize yourself with products and services you may be considering buying but haven’t yet settled on a vendor. Or perhaps you’re ready to change to a new provider or upgrade to a new product and need to identify new sources. Boat shows are also for dreamers. Your dream boat – or something else you never realized you craved – may be awaiting you at the show. The best news is that spring boating season is just around the corner.